1305656318 -Give your students a classic introduction to computer concepts with a modern twist with Morley/Parker’s UNDERSTANDING COMPUTERS: TODAY AND TOMORROW, COMPREHENSIVE, 16E. 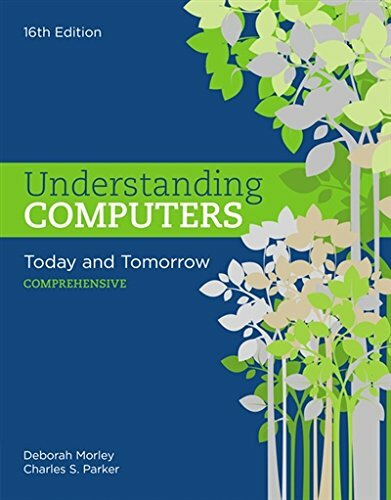 Known for a unique emphasis on societal issues and industry insights from respected leaders, this book makes computer concepts relevant to today’s career-focused students. This edition offers an increased emphasis on mobile computing and related issues, such as mobile commerce and mobile security. Students become familiar with the impact of new and emerging technologies, including smart watches, drones, 3D scanners and printers, robot assistants, perceptual computing, 5G, White Fi and much more.